Over 7,000 students fell ill last week. In the past week of 28 November-4 December, the incidence of flu and acute respiratory viral infections in Kyiv has exceeded the epidemic threshold by 4 per cent, the city hall said in a release on 5 December. The growth of incidence is observed in all age groups but most of all among schoolchildren as 7,152 students fell ill last week, or 29.3 per cent of flu cases in the region. "The declaration of quarantine is not on the agenda because the number of cases in educational institutions is still below the required index. According to expert forecast, the need for quarantine may arrive in January next year," the chief of the Kyiv city council office, Volodymyr Bondarenko, said. The number of flu cases in Kyiv is 24,440, of which about 17,000 are children. Earlier, two people in Sumy Region died of flu. 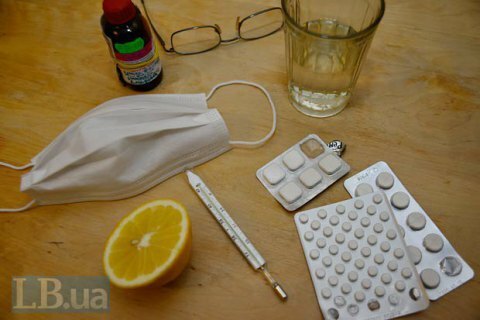 The incidence of flu and acute respiratory viral infections has exceeded the epidemiological threshold in Dnipropetrovsk, Luhansk and Kharkiv regions.